Hope International University is a proud sponsor of National Marriage Seminars" The Gottman Tour with Drs. John and Julie Gottman. 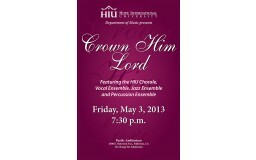 On Friday, May 3, at 7:30 p.m. Hope International University's Music Department will present their annual Spring concert. 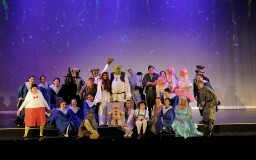 Playing to a packed theater, the cast of Shrek the Musical brought the hilarious and heartwarming story of everyone's favorite ogre to life on the Hope International University stage. The Hope International Tribune placed in the Best of Show competition at the Associated Collegiate Press 30th National College Journalism Convention Feb. 27 - March 3. Hope International University's Women's Basketball team has earned their first ever NAIA Top 25 ranking. Currently ranked at #24, the Royals are 11-3 going into the second half of their season.